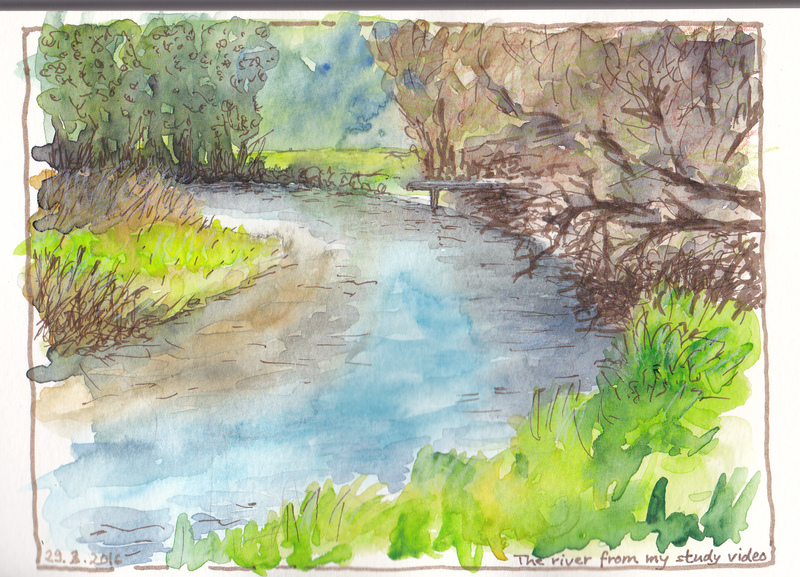 This morning I HAD TO interrupt my desk work and paint the lovely river which I often see and hear in this video. I like to have this on in the background whilst I’m reading and writing. It creates a wonderful atmosphere in my home office, and by now the birds in the video are actually chirping in competition with the birds outside my window. Spring is here!